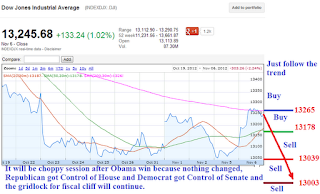 Since, the election is over Greece, Spain and US fiscal cliff will be back in focus. 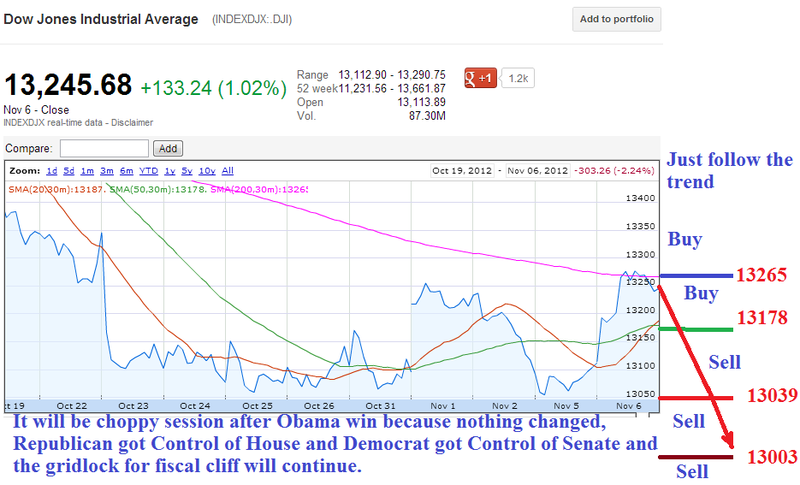 Stocks goes in opposite direction of what majority thinks and since majority expected stocks to rally, its opening low. The resistance level to watch on dow is 13003, 13039, 13090, 13164, 14205, 13285. Out of this 13164 and 13039 are most important level.